Banners.com printed a vinyl banner for the Snug Harbor Cultural Center in Staten Island, NY. 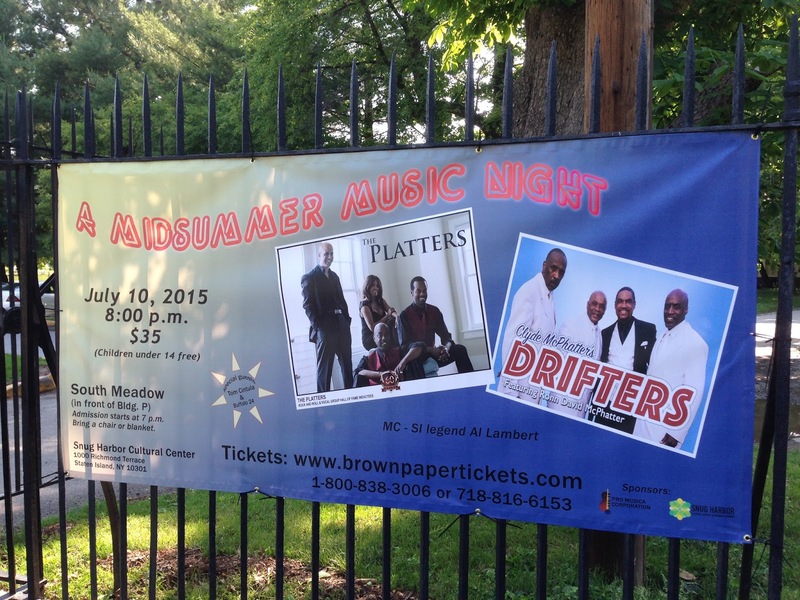 The banner was promoting a concert featuring "The Platters" and "Drifters" and was sponsored by Pro Musica Corporation. We're very happy with them. Thank you for the help you gave us in getting them done. We appreciate you sharing the picture with us! We hope you have a great turnout at the concert. If you are sponsoring an event, or need help with a concert banner, contact Banners.com! We have lots of vinyl banner template that you can customize in our online designer. You can also upload your own print ready file, or work with one of our graphic designers. Visit our vinyl banners page to get started.